Dr. Ishwar K. Puri is dean of the Faculty of Engineering and professor of mechanical engineering at McMaster University in Hamilton, Ontario, Canada. 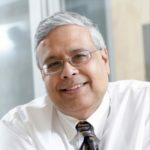 At McMaster, he is also an associate member of the departments of engineering physics and materials science and engineering, school of biomedical engineering, as well as founding academic director of the Computing Infrastructure Research Centre (CIRC). Professor Puri obtained his Ph.D. (1987), and M.S. (1984) degrees in Engineering Science (Applied Mechanics) from the University of California, San Diego after obtaining a B.Sc. (1982) in Mechanical Engineering from the University of Delhi. He has directed and mentored the Multiphysics Research Group (MuRG). The academic genealogy of the group runs through noted scientists such as Theodore Von Karman, Ludwig Prandtl, Gustav Heinrich Wiedemann and the Renaissance astronomer Nicolaus Copernicus. Dr. Puri writes on matters of technology and society, and has also been a TEDx speaker. I’m Ishwar Puri. I’m a professor of engineering at McMaster University. In our lab we have a long history of working on innovation and on research that can be translated for human good. Today in the lab we work on two particular kinds of problems. The first issue concerns various nanotechnologies that can be used to develop new materials and devices. We put nanomaterials in soft polymers for instance to make them hard in some places, make them weak in some places and flexible. Here we use a technique called biomimicry: we look to nature the wings of a dragonfly, we look to the wings of birds which are soft in some places hard and others. So that we can make materials that can crumple, that are more biologically feasible so that we can learn from nature and make useful materials. We also make inks, we put nanoparticles into liquids and then we print the resulting nanomaterial onto surfaces. One of the applications here for instance is a bio sensor and that by a sensor can sense e.coli or the bars that lead to Legionnaires disease. Why is this important because everybody requires food security. If our bio-sensor can indicate the presence of e.coli bacteria we would not have to have a lettuce recall, we would not have to have a massive meat recall, we could be sure that the food that we are eating is not tainted, that the well-being of our families and ourselves is assured. We also work on other problems with nanomaterials that can make better super capacitors and batteries which can then translate into better and more efficient devices in the future. We have a focus on sustainability. How these devices that we make that have batteries or that use are the power sources can be better insulated so that we don’t lose energy. A combination of all these efforts leads to a solution that’s driven by a core value of our laboratory and that is we work for the human good, we work towards sustainability, we work towards food security. And in this way by coming up with these solutions we hope to stack them aggregate them so that we can solve the grand challenges that are facing our society.